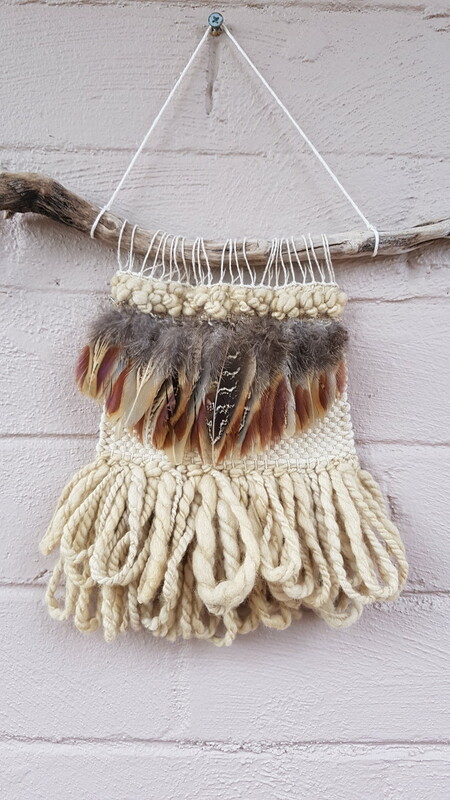 This one of a kind wall hanging is waiting for it's FOREVER home! 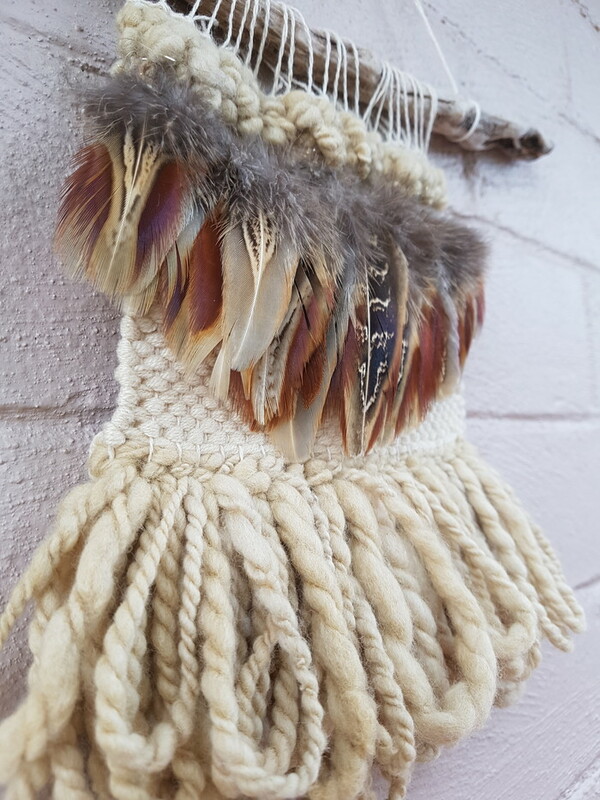 Featuring ethically found feathers (either pheasant, brown falcon, peacock or owl) and wonderful handspun and naturally dyed merino wool, it is filled with texture and would make the perfect gift, or be that talked about piece on your very own wall! 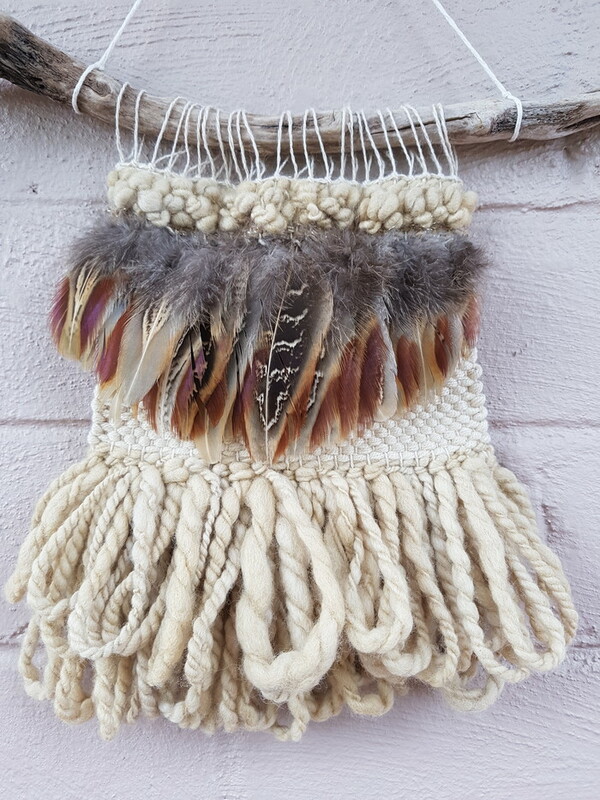 Sharnee loves to collect interesting organic objects and has a passion in adding them to her woven art. Great care has been taken in making certain that the flowers and other organic objects last and that the pieces are secure. If you have any questions or queries please contact me, I'd be happy to help! 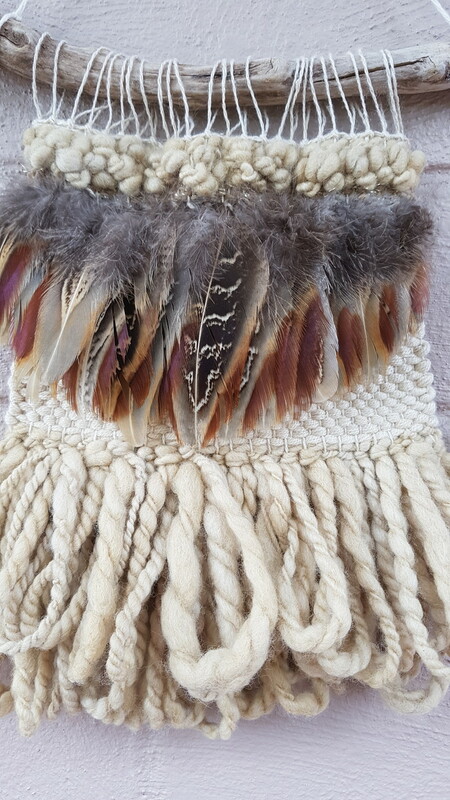 Once the money has cleared into my account I will post your item/s within two business days. 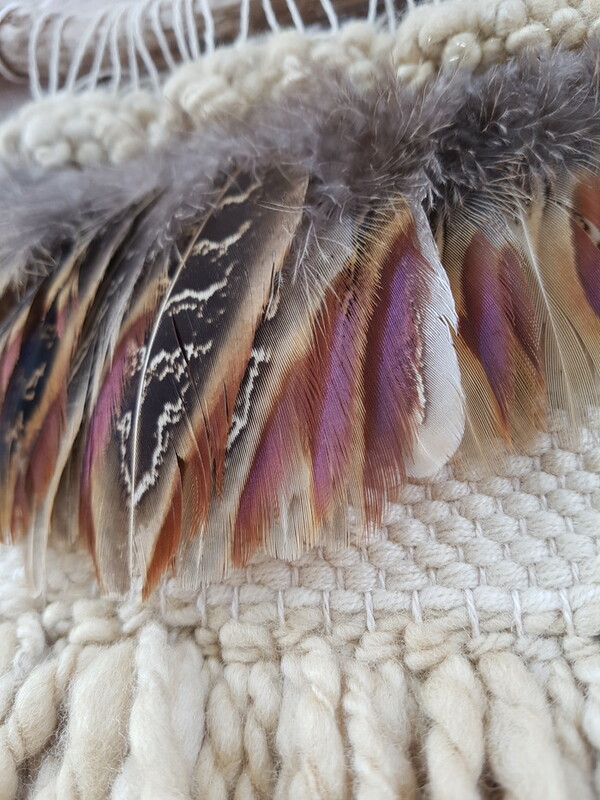 I am also happy to send your item via registered or express post if you prefer (this will come at an extra charge) - please let me know when ordering that you would like this option. Also very happy to gift wrap!